Municipal officials in Cancún have turned to a cop with a tough reputation to take on an unprecedented wave of violence. 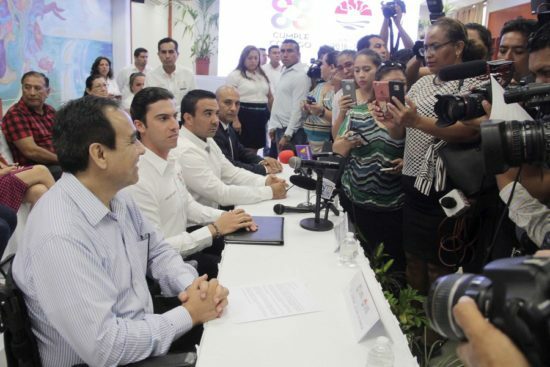 The municipality of Benito Juárez, Quintana Roo, where Cancún is located, has hired veteran law enforcement officer Julián Leyzaola Pérez, called “supercop” by some and “abusive” by others, as its chief public security advisor, according to mexiconewsdaily.com. The former military officer was the chief of police of both Tijuana and Ciudad Juárez during critical years when drug gang violence consumed both cities, and earned an international reputation as a successful public security expert. A new interim police chief, an associate of Leyzaola, has also been named. Alejandro Rodríguez Zepeda will fill the position left by José Luis Jonathan Yong Mendoza, who was removed by Estrada earlier this month. Leyzaola, 57, became Tijuana police chief in 2007 when living in the city was considered a high risk given the high rates of criminal activity and insecurity. But Leyzaola succeeded in reducing drug trafficking, extortion, kidnapping and human trafficking crimes by 70%. In 2011 he took on the same job in Ciudad Juárez, Chihuahua, then known as the murder capital of the world. Crime rates decreased by 85% during his term and his performance was commended by the U.S. Drug Enforcement Administration and the Federal Bureau of Investigations. During both terms as chief Leyzaola was the target of seven attacks against his life, the most recent of which, in May 2015, left him in a wheelchair. While hailed by many for his performance in the northern border cities Leyzaola has also been sanctioned for human rights violations. Human rights investigators have confirmed incidents of torture against his own officers. One such charge led to his being disqualified in 2013 from holding public office for eight years in Baja California.